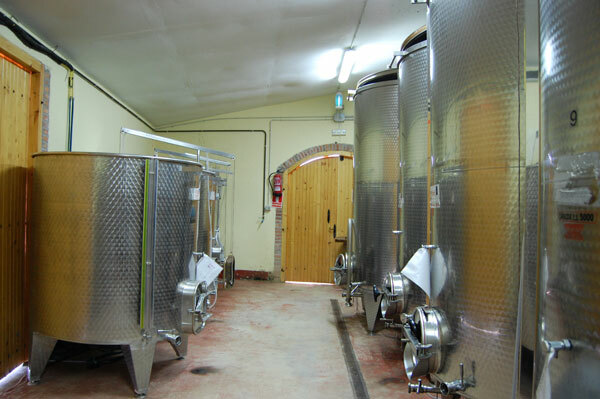 The Mas de l’Abundancia winery is entrenched in history, art and quality wine production. 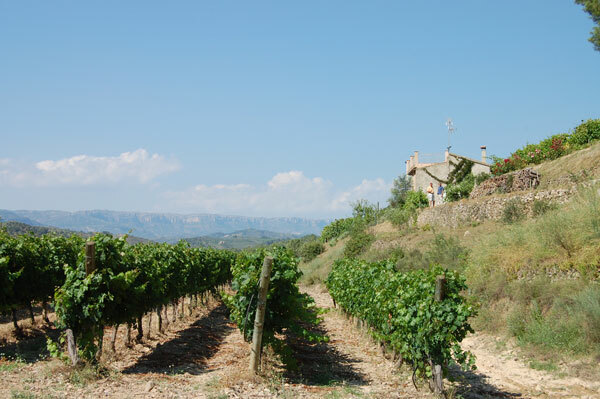 Translated as “land of the abundant harvest,” the winery’s name stems from the 15th century when the current vineyard site was farmed by monks from the nearby Scala Dei monastery. 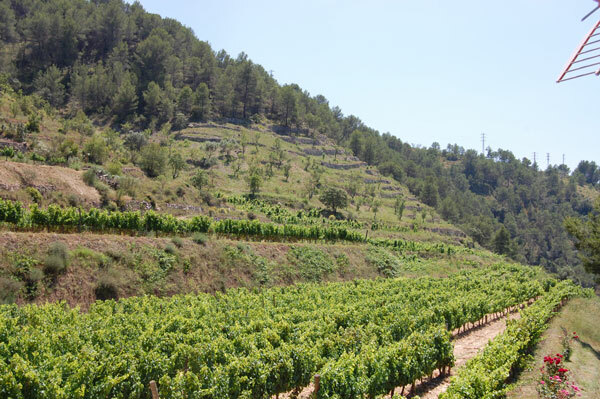 Winemaker Jesus del Rio, whose family has cultivated land in the region since the 1300s, purchased this property in the heart of Montsant twelve years ago. 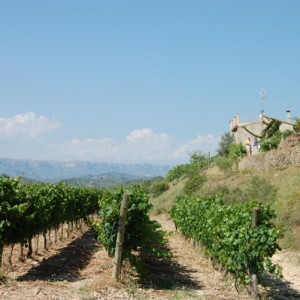 Señor del Rio decided to devote the majority of his property to the Garnacha grape variety that his family had grown for generations. 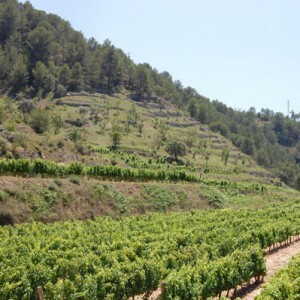 A self-trained viticulturalist, he planted over 7,000 pre-phylloxera Garnacha and 6,000 Cabernet Sauvignon vines himself, fueled by his belief that these varieties would express the true terroir of his land. 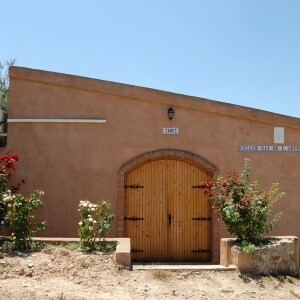 He bottled his first flagship wine, named for the winery “Mas de l’Abundancia,” in 2002. Made from Garnacha and Cariñena, this wine symbolizes the fusion of an ancient land with innovative enology and artistic winemaking. 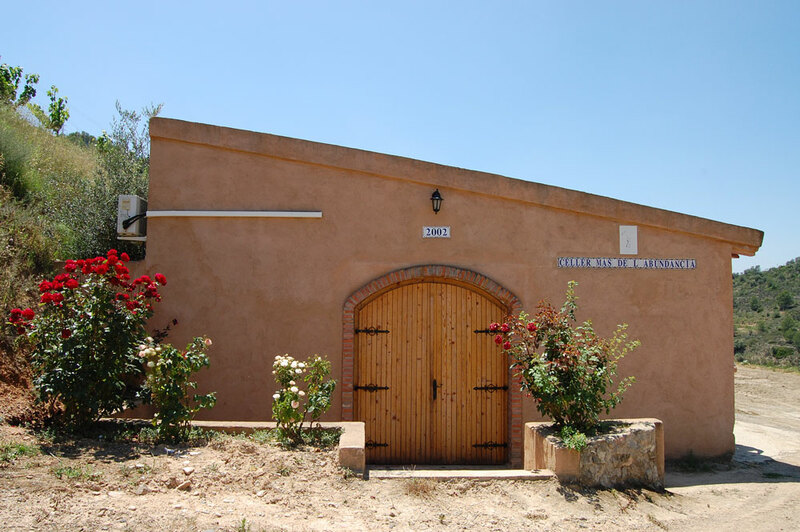 Señor del Rio reads music and has written several poetry books, passions that he believes enhance his winemaking. His artistic expression is evident in his vibrant second label, “Fluminis,” Latin for “del Rio,” or “of the river.” This wine begins with 15% barrel-aged wine from the previous vintage, and 85% new wine divided into two lots: half remains in tank and half undergoes malolactic fermentation in new French oak. 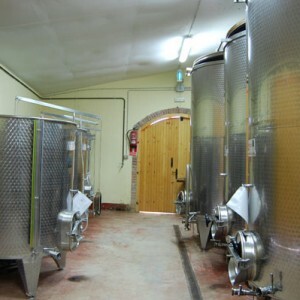 The three lots then evolve in stainless steel tanks for up to six months, before Jesus creates the final blend: “I always think of Mozart when making my wines – wine, like music, is both complex and beautiful.” On a tour of Mas de l’Abundancia you will be able to soak up Jesus del Rio’s passion by touring his small garagiste winery, walking through his vineyards (each one of which was planted by Mr. del Rio, by hand) and sharing a glass of wine with the man, the myth and the legend.